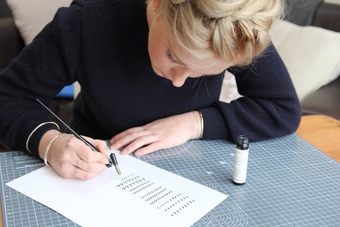 Hello and welcome to À L’aise founded by calligrapher and stationery designer Suzie Dicker. 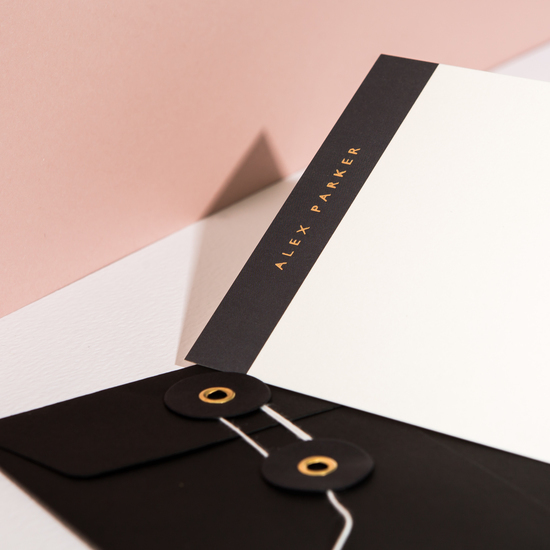 We are a luxury stationery company from London; creating minimalist luxury stationery and leather goods, with a focus on timeless design and an emphasis on quality. Carefully chosen papers are used to create our iconic greeting cards. Traditionally foil printed labels are hand placed onto the contemporary patterned cards before being paired with luxurious coloured envelopes. Specialist craftsmen in Northamptonshire, using the highest quality vegetable-tanned leathers, construct all of our leather goods by hand. Each piece is then hand finished at our studio in London before being placed into an ebony box with brass wire stitching.